MIQ is proud to arrange All Risk warehouse to warehouse coverage. This insurance is competitively priced and insures approved merchandise against all risks of physical loss or damage from external causes. By purchasing cargo insurance through MIQ, you can avoid inconvenience and frustration. All Risk Cargo Insurance may be purchased for approximately 0.5% -1% of the value of your shipment. Why should you consider international cargo insurance? Most carriers are not responsible for losses that are unforeseeable and beyond their control, such as fires, lightning, un-seaworthiness of vessels, collisions, criminal acts or negligence. National and international treaty restrictions limit ocean carriers’ liability to $500 per package or customary shipping unit. On average, a ship sinks every day and a shipper experiences a General Average loss every 8 years. 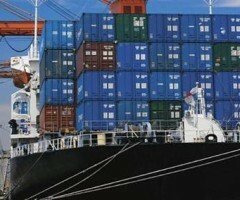 The Maritime Law of General Average means that even if your cargo is not lost or damaged, cargo owners must pay proportionally for any cargo intentionally or unintentionally thrown overboard, any damage sustained to the vessel, and any expenses incurred to save the ship and its crew when in danger. receiving your cargo — even when your cargo is not damaged or destroyed. A General Average claim may take years to finalize. Call your MIQ representative today for your free quote or complete our cargo insurance form to being the process. Insurance programs provided by Roanoke Trade.